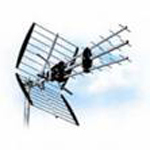 About Us Have you been searching for your local leading aerial specialist to assist you with any aerial upgrade, installation or antenna repair required? 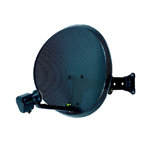 Here at AA Digital Aerial Services in Wolverhampton I provide that plus so much more for all domestic homeowners who have been longing for crystal clear television imagery. 10 years established as a sole trader in the professional aerial installation and maintenance business, I have amassed a pin sharp reputation for providing all my customers with a service that is fast, reliable and cheap.